This house was built c. 1910 by Robert Simmons, an African American farmer. 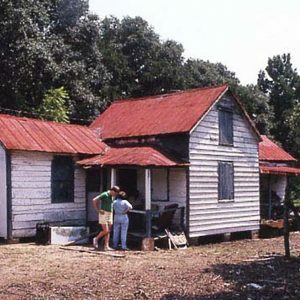 The house is a rare surviving example of a double pen house, a vernacular architectural form once common on St. Helena Island. Double pen houses had two rooms side-by-side, each usually measuring approximately 16×16 feet. The house has been enlarged, but the original core is still distinguishable.